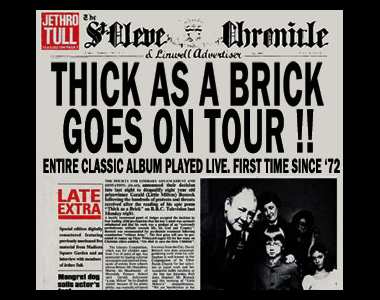 When folk/prog/rock band Jethro Tull released its “Thick as a Brick” album in 1972, the music world wasn’t quite sure what to make of it. It was long, complex, tricky to hum, and contained lyrics that were impenetrable to all but the most educated (and dedicated) listeners. Critics panned it. Casual fans scratched their heads. 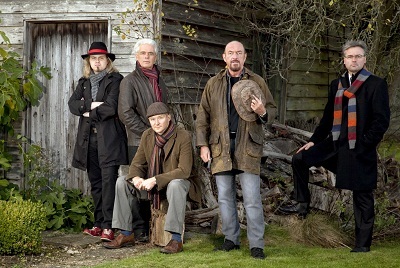 And while Tull devotees devoured every bar and the album sold well, it didn’t get the open-armed reception that Tull frontman Ian Anderson and his band of merry Englishmen might have hoped for. I loved it – and still do. Anderson labeled the album a send-up of prog-rock, but to me it was just thoughtful and substantial and the kind of expertly executed rock music that I enjoy listening to and, at times, thinking and writing about. Forty years later, Anderson has released “Thick As A Brick 2 – Whatever Happened to Gerald Bostock?” – a sequel that like many sequels may be met with muted applause. It shouldn’t be. TAAB2 is unquestionably the best collection of songs that Anderson has penned and recorded in a very long time. I admit, I had all but given up on Anderson, thinking that he had finally become, in his own words, too old to rock ‘n roll. But I was wrong. My apologies, Ian. “The idea” revolves around the central figure of the original “Thick As A Brick,” Gerald Bostock. Bostock was the fictional child poet, “the Little Milton,” who purportedly wrote the lyrics to the original Brick. In the 17 songs that comprise TAAB2, Anderson contemplates what might have become of young Gerald as he aged. Would he have become a crass and evil banker? A so-called man of the cloth? A soldier or captain of industry? A homeless grifter like Anderson’s seminal character, Aqualung? A boring shopkeeper with no aspirations beyond playing with his model Mallard train and stationing his belly in front of the telly each evening? Lots of possibilities to explore, both thematically and musically, in this tight album’s songs, which culminate appropriately in one called “What-Ifs, Maybes and Might-Have-Beens.” They’re stories of some of the possible paths that Gerald’s life could’ve taken, but also in a cumulative way they reflect upon the choices each of us have made along life’s by-ways to become who we are. 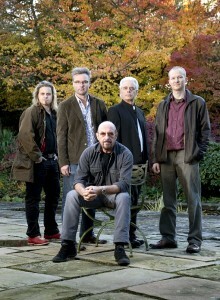 Ian Anderson (front) with from left to right guitarist Florian Opahle, drummer Scott Hammond, keyboard player John O'Hara and bassist David Goodier. The music contains obvious hints of the original, starting from the very beginning, when strains of a menacing bass, guitar and organ section from the second side of TAAB1 approach out of the mist to usher you along on this pseudo-nostalgic adventure. In several other places, such as in parts of “Old School Song,” musical phrases conjure the first record but don’t overtly mimic it. They pay homage in a pleasantly familiar way, but do not simply regurgitate. There’s a hint of a TAAB1 Hammond organ riff here, a dash of a TAAB1 rock guitar line there. But they’re new and they fit the new material. There are lyrical references to earlier Tull songs, as well, notably “Locomotive Breath” and “A Passion Play” – but interestingly, none to the original Brick as far as I could tell beyond the mention in both albums of soldiers and military duty. The complexity of the music on this album is astounding. Along with “Ian Anderson Touring Band” members David Goodier (bass), Scott Hammond (drums), John O’Hara (keyboards) and Florian Opahle (guitar), Anderson has produced an album that is meant to be listened to in its entirety. Yes, you can pull up individual songs on your iPod and snack on them, but the album progresses in much the same way as TAAB1, moving from one musical/lyrical theme to another – and back again. Never does the music stay in one place for long, even within individual songs. A moment of flute here, a fanfare of concertina-speckled notes there, and suddenly Anderson’s harshly sputtering (or majestically soaring or carefully tiptoeing) flute give way to Opahle’s thundering Les Paul as it rumbles through like a freight train, upsetting the tea cups and hearkening back to the early days of Tull, when pensive orchestral sections would explode into full-frontal rock at the twirl of a flute. This is the album that Tull fans have been awaiting for a long, long time. But it’s not a Tull album per se – and that should be addressed, I suppose. From almost the band’s beginning, Ian Anderson WAS Jethro Tull. The number of times he’s been called “Jethro” by enraptured, if ill-informed, fans will attest to that. But even as other band members came and went, Tull guitarist Martin Barre remained a constant. Until now. This album doesn’t bill itself as a Tull album, but rather as having been put out by “Jethro Tull’s Ian Anderson.” Martin Barre does not play on it, and he will not tour with Anderson when it’s performed, in its entirety, along with TAAB1, which will also be performed in its entirety. Barre is still listed on the group’s website, along with Doane Perry, as being part of the “Jethro Tull Band,” but this Brick is not his. 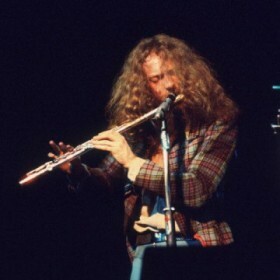 Tull fans should not mourn Barre’s absence. Martin Barre is a very good guitarist, and no one can be blamed for harboring hope that he and Anderson will pair up again sometime. But Opahle’s work on this album is both broad in scope and superb in its execution. In songs like “Banker Bets, Banker Wins,” “Swing It Far,” “Old School Song,” “Confessional” and others, Opahle channels Barre’s precisely fuzzy and suitably heavy “Tull” guitar bits very nicely. But it’s clear that Opahle has his own bag of tricks, too. He varies his instrument’s tone with alacrity and in sometimes surprising ways that add to the rich and multifaceted texture of these songs. Sometimes the guitar sings, sometimes it stings. On one song (like “Adrift and Dumbfounded”) it might provide a prodding baseline, while on another (“Banker Bets, Banker Wins,” for example) it soars into a slick-fingered solo featuring one impressively denoted lick after another. So while I love Martin, I’m also eager to see Opahle play with Anderson when the TAAB2 tour comes to Lynn. Anderson has stated that he composed TAAB2 with touring in mind (trying to avoid layering flute solos over vocals passages and things of that sort), so it will be interesting to hear how true to the recording the live performance stays – and also how it strays. The troupe’s other members are equally impressive. 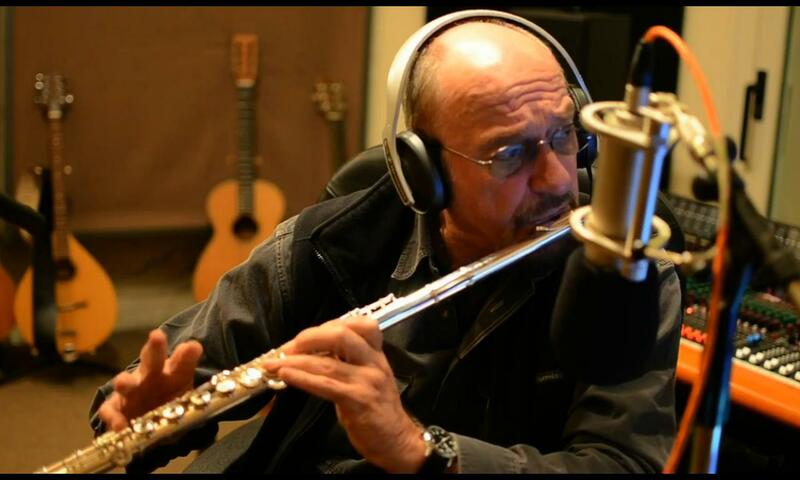 Goodier and O’Hara have traveled and recorded with Anderson before, and if you know anything about Ian Anderson, it’s that he’s a perfectionist. They wouldn’t be on the team if they weren’t very good musicians. In recording TAAB2, they had their work cut out for them, as it’s one of the more ambitious rock albums either of them will likely ever be called upon to perform. O’Hara chips in with the original TAAB’s Hammond organ sound and adds a plethora of other keyboard and synth arrangements. Goodier’s bass is probably the least “visible” of the players’ parts, but an album with this many time and tone changes throughout requires precision from your bass player and Goodier delivers. Equally impressive is Scott Hammond’s work on drums. It’s not every drummer who can shape-shift from quiet orchestral rhythms into pounding hard rock and back, with stops at a couple other stations in between, and do as good a job as this. The more you listen to this album, the more different parts of the percussive fabric underlying it you will come to appreciate. In the end, though, the credit goes to Anderson, who has seemingly come out of retirement to create what in a better (read: more patient and musically sophisticated) world would be a drop-dead chart-topper. Song by song, brick by brick, the album tells a story in both words and sounds. There are multiple, very memorable melodies here – something we haven’t really received from Anderson since “Roots to Branches” and “The Secret Language of Birds” came out in 1995 and 2000 respectively. His flute playing, whether on one leg or two, remains sharp and expressive – but not excessive. There is no gratuitous flauting on TAAB2. Even Anderson’s voice, which Tull enthusiasts could barely stand to listen to during past live shows, seems to have improved to the point where some of the range and intonation Ian used to be able to conjure up with ease can put in a reappearance. Anderson's talent -- and intellect -- is in full bloom on TAAB2. Whatever the condition of Anderson’s singing voice, it’s clear that his poetic voice has lost none of its satiric power. While TAAB2 may be a sequel, it is by no means a nostalgic look back at the world of 1972. Anderson addresses very modern issues in his lyrics here, which are well worth listening to and examining over and over again, ideally with a search engine of some kind close at hand. The five possible life stories Anderson hypothesizes for young Gerald in TAAB2 are at the same time vehicles for Anderson’s scrutiny of the screwed-up world we inhabit today. He “bears down hard” on homophobia, Starbucks, “Give ‘til it hurts” televangelists, pederasty, “broken societies, selfish, uncaring, addled brains clutching at chemicals soothing,” the living death of suburbia (where “I lay me down to live” and “all the time life slips away”) – and even eBay. I can’t think of many songwriters who would have had the nerve (or the intelligence) to so adroitly and artistically tackle topics like these, particularly while at the same time trying to create listenable music. “Banker Bets, Banker Wins,” in addition to being the best rock song Anderson has written in almost 20 years, is perhaps the most scathing take on the recent banking and mortgage crisis any artist has produced to date. Its protagonist, a greedy “pig-a-troughing,” a Canary Wharf gambling-man investment banker who has “never missed yet, for all his sins,” is perfectly content to “test a Porsche, snort a line, eat Hermione for lunch,” but when the mortgage meltdown hits, it’s certainly not his fault – “non est mea culpa” in the words of the bard. The song that may be the album’s best, “A Change of Horses,” seems to me to have a more autobiographical bent to it than the others on this concept album redux. Amidst its dizzying flute passages and adroit percussive refrains, the sense of the song here is about the passage of time – the central theme of TAAB2, but also one that almost certainly had Anderson himself doing some soul-searching during the creation of this album. ”Four hundred thousand hours have come and gone;” the “lateness of the hour” has given way to “a new dawn,” a new meadow morning” brings “light airs to call” and “resolute, the optimist, I ride a fresh horse and spur it on.” Anderson has certainly mounted a new steed with TAAB2, and one can only hope it carries him on to explore other horizons that are equally fruitful in the future. I’d be remiss if I didn’t give a nod to mixing engineer Steven Wilson, who certainly rose to the occasion on this assignment. Wilson, who was the founder and lead guitarist/singer/songwriter of progressive rock band Porcupine Tree, had originally been called on to do a new surround mix for TAAB1 (after also re-mixing the Aqualung Special Edition album released in 2011). When Anderson revealed that he had TAAB2 up his sleeve, Wilson wasn’t sure at first that he wanted to be involved. But in talking with Anderson about the concept and the musical direction the new album would take, Wilson became as excited about it as Anderson clearly was. His work here is stellar – the Special Edition includes both a 5.1 mix and a 24-bit LCPM stereo mix. (A vinyl release is also on the way – one whose excellent fidelity Anderson has gushed about in online interviews.) Said Anderson about Wilson’s TAAB2 mixing work: “He has great regard for the original so he can bring about something with a lot more sonic clarity and authority without making it sound too unfamiliar.” Wilson clearly understood the way Anderson wanted this album to echo TAAB1 at times, and at other times to be able to shift from its quieter pastoral moments, with their delicate acoustic sections, into drown-the-dog rock assaults. He handles these shifts brilliantly and seems to choose the right tonalities and settings intuitively. The presentation of this music is nothing less than masterful. My only criticism of TAAB2 is a minor one – but it’s a disappointment that could have (nay, probably should have) been avoided. At the end of the album’s last song, the melody morphs into the final few measures of the original TAAB, and Anderson sings, as he has famously done so many times, that “your wise men don’t know how it feels… to be thick… as a brick.” Unable to help himself at that point, he then adds the final word “two” – and thusly links (or maybe smashes is a better word) the two Bricks together. To me, this “flashback” ending seems both ham-handed, particularly for Ian Anderson, and also unnecessary. Not to mention that the transition back to Brick I from a musical standpoint is a somewhat jarring conclusion that robs this new work of the great finale it rightfully deserves. Perhaps Anderson will handle it differently in live performances. I hope so. 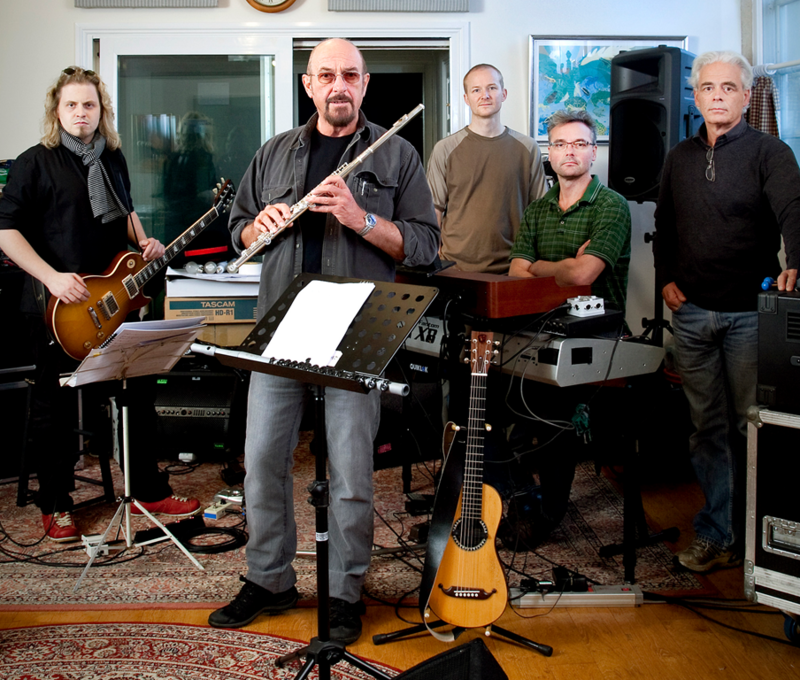 Anderson & Co. will be playing both TAAB1 and TAAB2 during their 2012 tour. I think you will enjoy this album if you give it time to present its charms properly. There’s certainly a lot to like on it. And since we’re in the digital age now, you can experience the phenomenon of TAAB2 in ways other than aural, too. 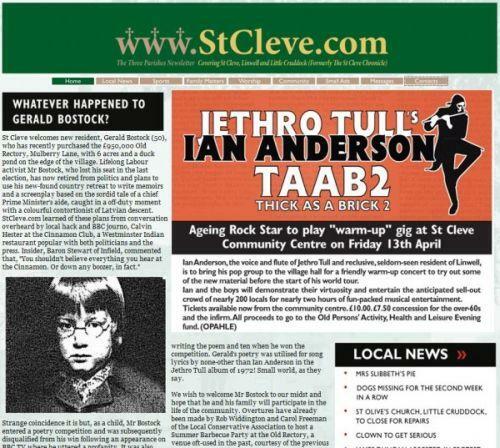 Anderson has created StCleve.com as a descendant of the St. Cleve Chronicle newspaper that accompanied TAAB1 in its old-media, 1972 vinyl-release form. The pseudo news site is full of occasionally interesting bits, including a mention of one Ian Anderson’s performance in a hot-chile-eating contest, which can be found on the site’s sports page. You can also follow the ongoing exploits of Gerald Bostock on both Facebook and Twitter if you feel like diving in that deep. It’s all in good fun, and like the album, a good deal headier than what you’ll find other bands putting out these days under the guise of social media. 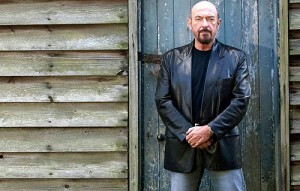 Ian Anderson may be in his mid-sixties now, but there are moments in this new album when you can almost picture him as the crazed, mad-dog minstrel he used to be. It’s an Anderson I never thought I’d meet again – and there may be more of that particular Ian coming. In recent interviews, Anderson has said that he’s working on a few other things of note. 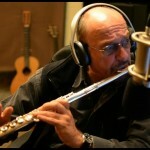 There’s an orchestral Tull music project he’s in the midst of now (could be a snoozer, we’ll see), some stripped-down singer-songwriter stuff (with the right melodies, could be worth a listen), and also what he calls a “real rock” album that he may or may not complete and produce in 2013. 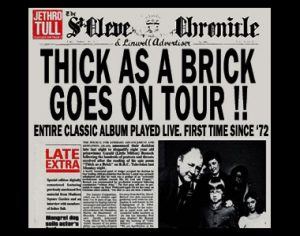 That album, if it comes to pass, may not earn him another Heavy Metal Grammy, but if it’s anywhere near as nuanced and powerful as “Thick As A Brick 2,” it should sell a lot of copies. And from there, who knows. Another concept album perhaps? A rock opera? A Tull release that features Martin Barre on guitar again? One can only hope for all of the above. It’s all but certain, though, that there aren’t any other sequels in Anderson’s future. As Anderson has stated in interviews since TAAB2 came out, even the best nursery rhyme should only go around twice once. 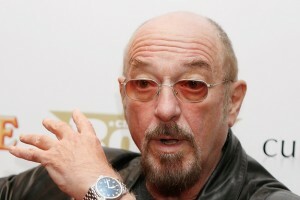 I just adore Jethro Tull from the early years till now. Have almost everything of this splendid band with so good lyrics and music. I had a opportunity to see him live in Australia many years ago. It was in 1997. But I haven’t gone to that concert. Shame on me. A thorough and comprehensive review David, clearly by a man who has a long appreciation for IA/JT. Looks like I’ll be joining you in Lynn…still wondering what that venue is like – good/bad? I’m also a big fan of “Kismet in Suburbia”…great lyrics and the refrain brings back memories of old Tull rockers. Saw you in Fort Wayne, “Aqualung” concert 1972,3,4 somewhere in there. Been a Tully ever since. Keep on Rockin my friend. Well, I didn’t care for it upon the first listen. Having heard the whole thing twice now, I wonder if there’s anyway to get that hour and a half of my life back. Takes a lot of denial to pretend this is good …. And the sad thing is that by Calling it Thick as a Brick II, it really cheapens the original. Thanks for the great review, David! You pretty much captured my sentiments exactly. I take (minor) issue with your assessment of the closing, which I interpreted as a bit of a double-entendre (i.e., as both ‘part two’ and ‘also’). In either case, Anderson is pure genious. For me, the biggest opportunity missed on this CD (and this is really no big deal) is the use of synthesized ‘strings’ rather than live quartet on Wooton Bassett Town, as I think a quartet could have imparted an even more sorrowful tone. But again, this is really a very minor issue as far as I’m concerned. Everything else is spot-on. High points for me include the incredible lyrical content (which surpasses perhaps even the original TAAB), the spoken-word poems, and vocal delivery. For example, when he sings this line from the song ‘Confessional:’ “Invalided out of theatre / Civilian Rehabilitation / I give my time to help my brothers / Find cold feet lost building nations” — it’s vintage Tull. I’ve listened to this CD more than several times now and, yes, it’s very VERY good, and just seems to improve with each subsequent listen. I became absolutely hooked after about the fifth listen, and now I just can’t get it out of my head. The layers just keep revealing themselves — it’s just utter genious, no other way to describe it. I haven’t felt like this over a Tull release quite possibly since ‘A Passion Play.’ (Parenthetically, for me, Ian is Tull, though I thought it was extremely gratuitous of him to suggest otherwise in the wording of the title “Jethro Tull’s Ian Anderson,” as he could very easily have simply claimed the domain as his and his alone.) As you note, the musicians on this are all very talented in their own rights and execute the material flawlessly and with incredible passion, heart and surgical precision (passionate heart surgery!). It’s really quite brilliant. Although I was initially put off by the idea that Martin and other Tull band members were not involved in this, I’ve since come to the conclusion that it was actually a rather shrewd move by Anderson to do it as such: it doesn’t suffer technically in any way; it’s very fresh, and perhaps more unique than it might have been otherwise, and in some ways it’s more ‘urgent feeling’ insofar as it seems this line-up has something to prove of itself; and finally, and perhaps most importantly, the ‘absence of Martin’ has created quite a publicity buzz in its own right. Do I personally miss Martin? Sure. Do I think it would have been ‘better’ with him? Perhaps, but probably, well, just plain different. I’m also extremely heartened by the plethora of very positive professional reviews from all corners, including perhaps most notably those from college and high school newspapers. Speaking of which, I read this comment elsewhere that I think brilliantly captures and affirms the relationship between TAABs 1&2, and so would like to share it with you here: “If the original Thick As A Brick were a sprightly Beaujolais — released in springtime and ripe with youthful vigor and play, then surely TAAB2 is a Vintage Port matured 40 years in the underground cellar: dusted down, refined; smooth yet powerful, with a strong finish and lingering appeal.” I could see having that printed on a t-shirt! Terrific review, correct me if I’m wrong, but I believe the album went to number 1 in the USA. How much more could Tull have hoped for? I agree about the ending.